Anime is a form of entertainment that Japanese people can't do without. Do you have any idea of the history behind anime? According to the Association of Japanese Animation (AJA), Japanese anime are celebrating their 100th anniversary in 2017. 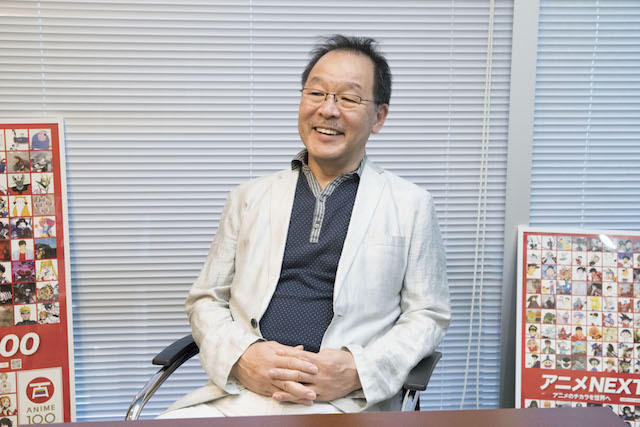 We had the chance to talk with the legendary anime producer Masuo Ueda about what happened over the course of the past 100 years, about the present and about what awaits the anime world. After being an anime producer for Sunrise and working as a freelancer, Masuo Ueda joins Aniplex in 2003. 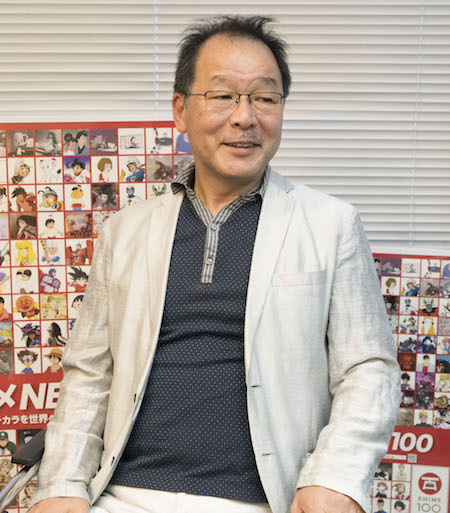 He served as Executive Director at Aniplex and Director at A-1 Pictures. Currently, he works as an advisor for Sony Pictures Entertainment. In 2017, he starts his very own net radio program, "Ueda Masuo no Anime! Masumasu Hogaraka", where he delivers talk shows with anime industry stakeholders and voice actors. 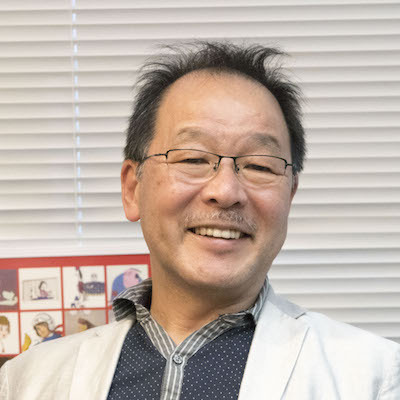 He was in charge of several animation masterpieces, such as Mobile Suit Gundam III Encounters in Space, Ginga Hyōryū Vifam, City Hunter, Mobile Fighter G Gundam, Cowboy Bebop, Black Butler, Sword Art Online and many more. -- Is it true that Japanese anime have 100 years of history? 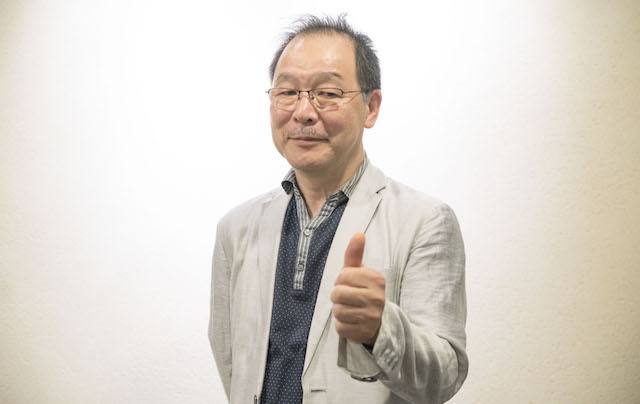 Masuo Ueda: It's absolutely true. It is said that mangaka Outen Shimokawa/Hekoten published the very first Japanese animation in 1917. Unfortunately, we have no film left to prove it, but researchers are still trying to find out what kind of work it was and when exactly it came out. However, another animation was released on June 30 of the same year: Namakura Gatana, or Hanawa Hekonai Meito no Maki, produced by mangaka Junichi Kouchi, and the film still exists. Whatever the case, we can be pretty sure that 1917 was the year when Japanese anime were born. ▲ Namakura Gatana can be watched on "Japanese Animated Film Classics". Around this time, it seems that several Japanese creators fought to be the ones to release the very first Japanese animation. We can say that the will to challenge new expressions is what started the history of Japanese anime. -- In 1917, Japan was still in the Taisho era. Many people seem to think that the first Japanese anime was Astro Boy (broadcast in 1963). That is the year when TV anime started broadcasting. In the 46 years between the release of the first Japanese anime ever and the start of Astro Boy, Japanese people would watch anime in theaters. Director Isao Takahata, Hayao Miyazaki and Osamu Tezuka all created amazing anime movies before Astro Boy. -- The first title featuring Mickey Mouse (Steamboat Willie) was released in 1928. This means that Japanese anime are born before Mickey Mouse! However, there are a few characteristics that many people consider to be unique to Japanese animation. For examples, to be broadcast on TV as 30 minutes episodes. To have an opening and an ending song. Many of these features were born together with Astro Boy, so I think it's quite accurate to consider it the break-off title of Japanese animation. In the past, video recording equipment was expensive, so news programs, singing programs, and even TV series were broadcast in real time. It's pretty obvious that it was hard to broadcast 30 minutes anime every week, since it would have required a lot of preparation. Astro Boy, which set the standards for contemporary anime productions, can really be considered a monumental work. -- Broadcasting anime on TV was a challenging task in the past! After the popularization of video cassette recorders in Japanese households, OVA (Original Video Animation) productions made their appearance next to TV anime and theatrical anime. They were sold exclusively in the form of video cassettes. After that, the internet arose and web anime started as well. The history of Japanese anime follows a trail of different media. I hope we won't lose our characteristic challenging spirit. -- What do you think about the current state of anime productions? What makes you proud? The diffusion of the internet made it possible for anime fans all over the world to enjoy Japanese animation. Until a decade ago, works created in Japan weren't even broadcast nationwide, since they skipped rural areas. They couldn't be enjoyed in real time. Currently, many anime are distributed on the internet and made available around the world. Fans can enjoy their favorite anime no matter where they are in the world. 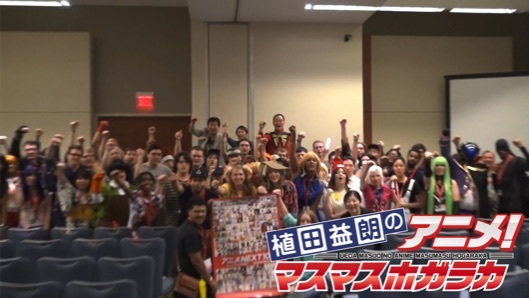 I recently participated to Animazement, an anime convention in North Carolina (US), and I was surprised to see how popular Japanese anime are abroad. There are some productions which value goes beyond language barriers and nationalities, and I'm glad we're living in an age when speaking different languages is not a problem. Is the history of anime over? What can we do about the future of anime? -- I thought anime were a new form of entertainment, but apparently, their history goes back further than I expected - and they are also loved all over the world. Exactly. On the other hand, there also are tough sides to this story. As of anime 100th anniversary, the industry has to face some problems related to the increasing number of productions and to the labor environment. Many stakeholders are struggling with these issues, because such problems are well rooted and not at all easy to solve. There are also people believing that we're in the middle of an anime bubble, which will pop anytime, leaving space to foreign titles. -- It sounds like a serious situation. Can't we do something about it? As I just mentioned, the problems in the animation industry are quite complicated, and there's no way they can be solved immediately. But there is something we can do from afar, and that is: introduce people to anime. -- How is it related to the problems rooted in the industry? For example: if we want to discuss the working environment in the animation industry, we will first need to know what kind of employees are doing what kind of job. If the people who know a thing or two about the industry increase, we can finally start some fruitful discussions that will hopefully lead to an improvement. Luckily enough, 2017 representing the 100th anniversary of anime, many events and seminars are going to be held all around Japan. NHK proposed a special program called Nippon Anime 100. I think many more programs like the one mentioned above will start in the near future. I'd like to invite all those who will be reading this article to attend these events and see these TV programs. And I'd like you to think about what anime represents for you. Think about it, look it up and take action. I think the problems in the industry cannot be solved unless not only stakeholders are involved in the issue, but fans as well. We need to overcome the problems in the current time in order to let people enjoy anime a hundred years from now. -- Thank you for your precious words. Anime have been entertaining people for a hundred years. They are loved not only by Japanese people, but also by fans all over the world. However, this interview made us understand that this world is currently facing a crisis. We don't want to think that anime will disappear one day. We should all think about what we can do to save this amazing form of entertainment!